It worked! The grid is now standing on edge free from the dirt. 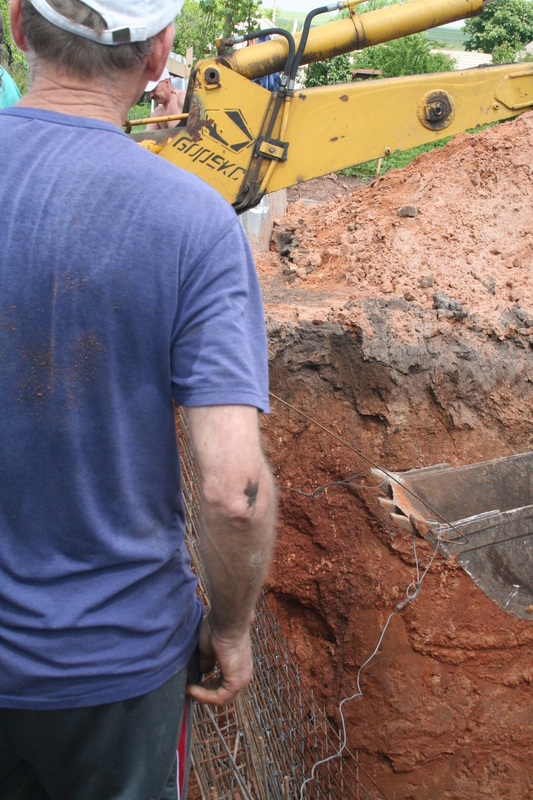 We now went down and cleared the rest of the dirt out of the pit using the same shovel, bucket, back-hoe method. Once cleared of all excess dirt, we reattached the steel cable to the ~middle of the grid (no pictures - we were too busy lifting/guiding). The back-hoe was able to lift the grid, which then tilted back to ~level (not as easy as it sounds), and lowered the grid back into place. The cable actually broke loose just as the grid was getting close into position - and the grid fell right into place! Once again, someone was watching out for us!